Spring sun and warm weather has everyone running to their local gardening centre for plants and vegetables alike but what if your green thumb is non-existent and you just want a bit of greenery & furniture to spice up your modernist patio? 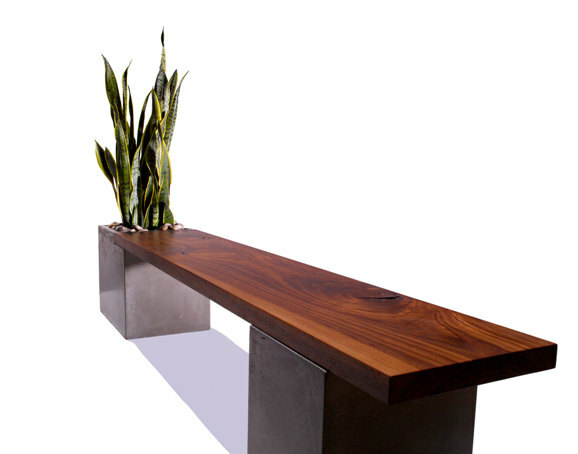 Enter the concrete and wood planter bench by Tao from Arizona where they know a thing or two about sunny weather and minimalist planting. Available here.